Looking for some room to roam? 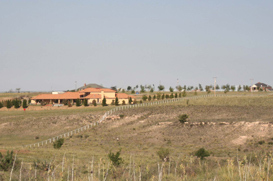 The Texas Panhandle has some great homes with acreage for sale, whether you are looking for 1 acre or 50 acres we can help you find it. Some of the homes you will find with acreage will be close to the city while others can be totally isolated. With these homes you will usually have a well and septic but every home for sale will be different. Some of the homes for sale with acreage will have some great hunting land and some for sale will have that perfect spot to farm. Whatever you are looking for we can help you find it.